Boneset - What is this Strange Medicinal Herb? Boneset – What is this Strange Medicinal Herb? 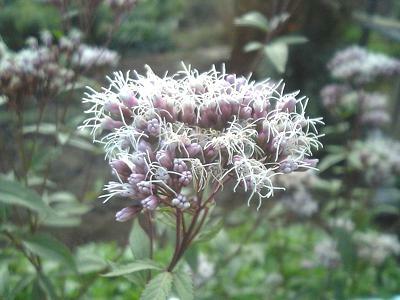 Home » Medicinal Plants and Herbs » Boneset – What is this Strange Medicinal Herb? Boneset is a healing herb in the borage family. Its botanical name is symphytum officinale, and it’s also known as comfrey, knitbone, bruisewort and healing herb. Boneset can grow to about three feet tall. It has long, oval, deep green basal leaves that are covered with hairs. A long stem shoots up from the basal leaves. This stem bears the flowers, seeds and buds of the plant. The flowers can be cream or purple and are quite lovely. The plant is often used for ornamental purposes in the garden as well as for its healing properties. The plant blossoms in May and continues to blossom till fall. Boneset grows up from a very long, thick root or rhizome, which is black on the outside and white on the inside. Cuttings from the rhizome are the easiest and most reliable way to grow the plant, though it can also be grown from cuttings and seeds. People can also buy seedlings from local nurseries. Boneset originated in Asia and Europe, but now grows all over the world. It’s a notoriously tough plant that can withstand a hard freeze and can grow in nearly all kinds of soil, but does better in loamy, somewhat alkaline soil and in partial shade. It can be invasive and to keep it rom overrunning a garden the gardener might want to grow it in a pot or surround it with a barrier that’s at least a foot deep. Boneset’s leaf and root have been used medicinally for thousands of years. Leaves should be collected before the plant blooms. They should be cut a few inches above the place where the stem meets the root and laid on a screen in a warm but shady place and allowed to dry. Then the leaves can be crumbled and put in jars. The roots of boneset should be collected in autumn after the first frost, or in early spring before the plant leafs out. The roots should be washed in cool water, then thinly sliced and dried on screens in the sun. After this, the root can be powdered. The root is taken as an astringent and is known for its cooling and anti-irritant properties. There’s some controversy over whether boneset is toxic when taken internally. Some types of boneset have alkaloids that can damage the liver. 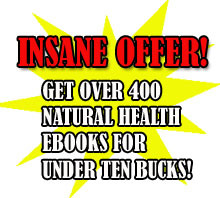 Many herbalists therefore advise against taking boneset internally. However, boneset is still beneficial when used externally. Though it might not knit bones together as efficiently as some ancient physicians believed, powdered boneset has been seen to have a beneficial effect on burns, ulcers, boils, hemorrhoids, sprains and strains, cuts and fractures. The allantoin in boneset is said to be so potent that the healer should be careful in how they apply it. It’s been known to cause the skin to heal so quickly over a cut that it can heal over an infection before it’s had a chance to be cleaned out! 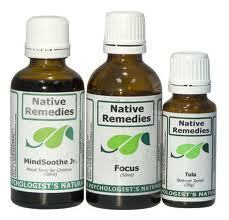 See the homeopathic and herbals remedies on special for this month from Native Remedies!